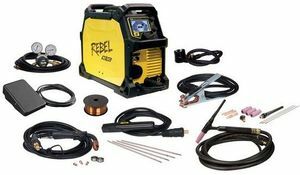 The ESAB® Rebel™ EMP 205ic AC/DC is a 235 amp MIG, TIG, and Stick welding package that is capable of TIG welding aluminum. Full function AC TIG welding features include high frequency arc starts, AC wave balance and frequency control. The Rebel 205ic also has exceptional DC TIG performance down to 5 amps. 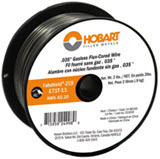 It comes complete with pulsed TIG welding capabilities from 1 to 500 pulses per second (PPS) for welding thin material. 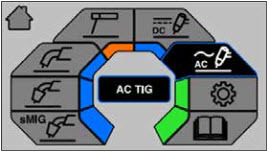 Lift-Arc starts are available when welding in the DC TIG mode. The Rebel EMP 205ic AC/DC operates off of standard household 120 volt OR 230 volt input power. Weighing only 49 pounds, the 205ic is a light industrial welding machine that is truly portable. It comes complete with everything you need to start MIG, TIG, or Stick welding, except the shielding gas. Rebel's advanced, welder-inspired design sets it apart from all other multiprocess welders on the market. 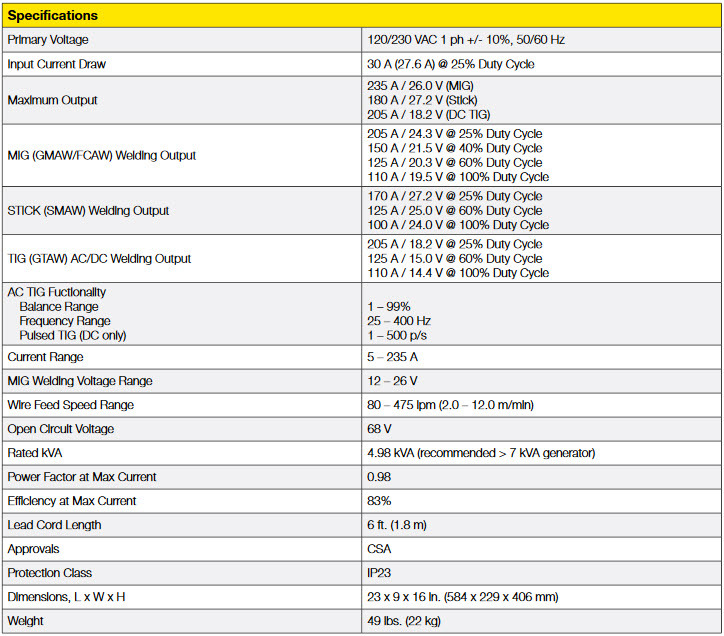 ESAB starts with sMIG technology that actually adapts the MIG arc characteristics to your unique welding style. 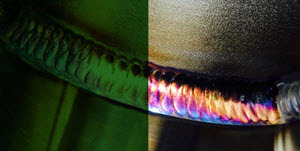 Should you change your technique while welding, sMIG will automatically adjust on the fly. Smooth, stable Stick welding arc performance is consistent even on difficult-to-weld E6010 and E7018 electrodes. Combine all of this with a bright, bold 4.3 inch LED color display and you've got a go anywhere, do anything multiprocess welder that is second to none. Tweco Fusion 180 MIG gun with 10-ft. (3-m) cable equipped with .030 contact tip. 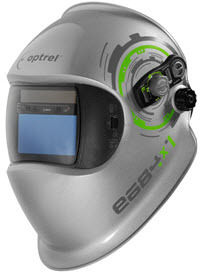 FREE Optrel® e684 auto-darkening welding helmet ($490.00 MSRP value). The SG160REB plugs directly into the front of the ESAB® Rebel™ 215ic and has an auto-detect feature that automatically switches the Rebel™ into Spool Gun mode. Does this welder have a lift arc option WITHOUT REMOTE? I'm comparing this to the Miller welders or 220 ac/DC where you do not need a remote contractor to initiate arc in lift tig. Esab advises that the ESAB Rebel EMP 205ic AC/DC MIG/TIG/Stick Package 0558102553 will need a remote contactor in order to initiate the arc for the lift arc process. 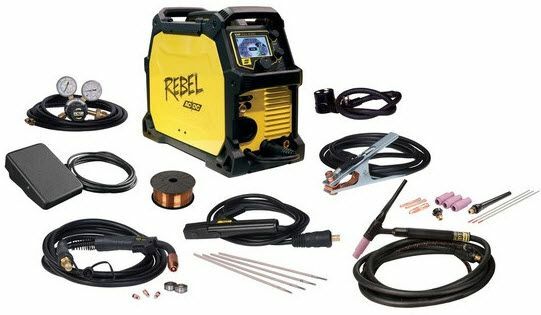 ESAB Rebel EMP 205ic AC/DC MIG/TIG/Stick Package 0558102553 is eqipped with 50mm dinse connectors.